Abu Dhabi: Pakistan blew away a huge opportunity to take a commanding first-innings lead against New Zealand in the series-deciding third Test on Wednesday. But as the sun went down, the hosts took two quick wickets to regain a slight edge. New Zealand, at stumps on day three, were reduced to 26 for 2 in their second innings, still trailing Pakistan’s first innings total by 48 runs with eight wickets remaining. Kiwi skipper Kane Williamson, whose innings will be the key, was on an unbeaten 14 along with nightwatchman Will Somerville on one as Jeet Raval and Tom Latham were sent packing by Shaheen Afridi and Yasir Shah, respectively. 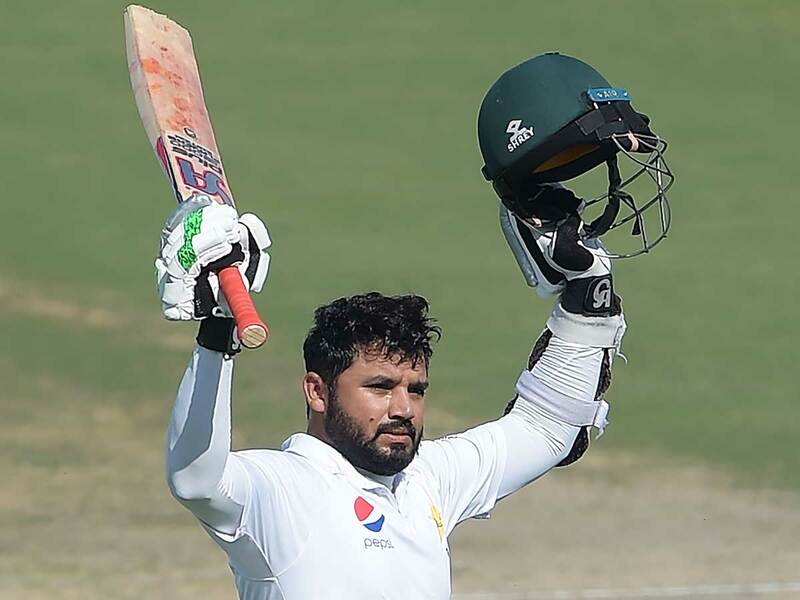 Earlier Pakistan, replying to New Zealand’s first innings total of 274, were bowled out for 348, but only after Azhar Ali smashed 134 and Asad Shafiq scored 104. “We will be trying to get them out as early as possible because batting here in the fourth innings is always tough,” said Shafiq, who was involved in a 201-run fourth-wicket partnership with Azhar before New Zealand clawed their way back with seven wickets for 62 runs and reducing the lead to just 72. Azhar slammed his 15th century and Shafiq his 12th to end their century drought as New Zealand chased the leather for one full session and for little over an hour without any success. The duo showed signs that as senior players they are now ready to fill the void left by Misbah-ul-Haq and Younis Khan. They have been getting a lot of flak for not shouldering the responsibility in the middle order. Shafiq, more so, because he has time and again thrown away his wicket after getting starts. However, in the crucial series decider in the capital, they gave clear evidence of having come out of that inconsistent phase. The duo showed immense patience on a track that was slow and needed plenty of restraint to bat on. Shafiq and Azhar took the team to lunch, 50 runs short of New Zealand’s first-innings total of 274. Somerville finally got the breakthrough with the wicket of Azhar — finding Patel at short fine leg attempting a sweep. Safiq also followed shortly after this ton — leg before to a tossed up delivery from Ajaz Patel and Pakistan were reduced to 304 for 5. Pakistan seem to have a liking towards converting debutants into stars overnight. If Patel had taken the limelight in the first Test on debut with his five-wicket haul, then off-spinner Somerville hogged the spotlight on his maiden Test with 4 for 75. Pakistan gave very little resistance once the Azar-Shafiq stand had ended and the team lost their last seven wickets for 62 runs. Babar Azam dragged one on to his stumps and skipper Sarfraz Ahmad could do very little with the tail as Pakistan lost their last three wickets for a mere two runs. “The wickets are a bit slower and a bit more challenging here,” said Somerville. “We had to bowl a bit faster on the wicket to challenge them to defend a bit more, which is hard on the shoulder but mixing it a bit to get the batsmen off guard. Somerville added he was hoping that his team can play a long game on day four. Fall of wickets: 1-0, 2-17, 3-85, 4-286, 5-304, 6-312, 7-333, 8-346, 9-347. Bowling: Hasan 4-3-2-0, S Afridi 3-0-11-1, Y Shah 4-1-5-1, B Asif 3-0-7-0.